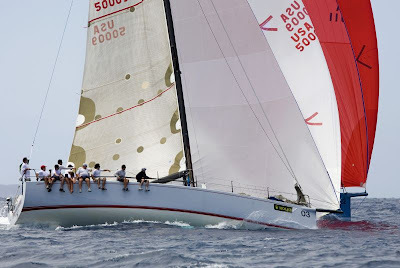 With the wind blowing 20-22 knots on opening day of the International Rolex Regatta, everyone had a war story to tell when they got back to shore. 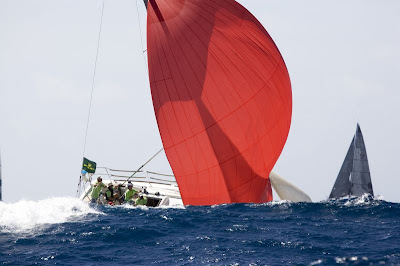 The three-day event kicked off with a race to town, in which 90 boats took off from the east end of St. Thomas, where the 35-year-old event is hosted by St. Thomas Yacht Club, for the bustling waterfront of Charlotte Amalie. 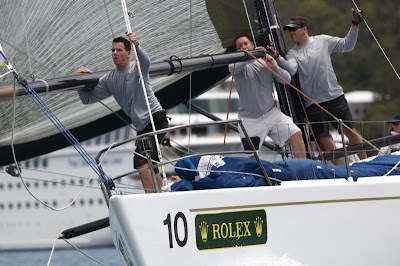 After the downwind sprint, the fleet reversed course and sailed back home "on the nose."